I agree with the previous reviews that describe this book as 'small', however it is quite chunky and is quite a classy little book.The hardcover is thick, the pages are quite heavy and there are two beautiful ribbon page markers.Whilst there are no photographs of the finished dishes at all, the author describes quite thoroughly how things should be done, and how they should look...it is quite conversational, and you feel as though you have someone standing beside you in the kitchen.The recipes, for the most part, seem to contain ingredients that are readily available and the couple I have tried have been really quite nice.The best part is that, at the moment, the book is listed as being at a [Bargain Price] and it is truly worth every cent they are asking.It would also make a nice gift. Good read and some good recipes.It's just that physically, the book is tiny...Six or seven inches tall.Maybe it should be called "The Pocket Guide to Classic Spanish Cooking." PERFECT LITTLE SIZE. I FLY ACROSS THE STATES ALL THE TIME AND TAKE THIS LITTE GEM WITH ME EVERYWHERE. EASY FOOD. 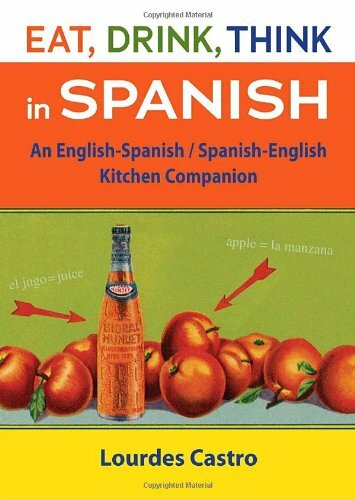 IF YOU LIKE "CLASSIC SPANISH" FOOD, YOU DEFINILY NEED THIS BOOK. 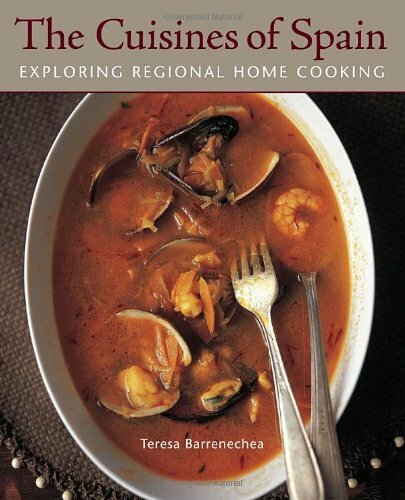 Born and raised in Spain's Basque Country, Teresa Barrenechea (The Basque Table), has been very purposeful with her title, choosing the plural, cuisines, to speak of Spain in her most recent book, The Cuisines of Spain. There is no one Spanish food, plain and simple. And what the author wants to convey is a sense of place for the many delicious dishes she presents (there are over 250 recipes). It's a kind of culinary coaching, a catch up for the cooks already familiar with which dishes one can attribute to Northern Italy, say, or Sicily, or Alsatian France. Spain, and Spanish culinary traditions, remain something of a frontier. And that makes Teresa Barrenechea something of a pioneer. Exploring Regional Home Cooking: That's the sub-title of the book, and therein lies the magic. The Cuisines of Spain is first and foremost a book to read. The author's first two chapters describe in great detail the history and geography of Spain's regions which she groups by shared climate and natural resources. She calls this "following bean stews rather than political boundaries." Woven into this tapestry are traces of the Phoenicians, ancient Greeks, Romans, Celts, Visigoths and Vandals (who left behind livestock farming practices), Moorish and Jewish culture, and, of course, the New World impacts of foods returning with Columbus--tomatoes, potatoes, corn, peppers. She gets granular--which pigs, grown where and eating what, contribute to the great hams of Spain. She divides the book by the flow of a meal, and makes suggestions throughout which dishes would typically go together. This is if you were to choose to cook an entire Spanish meal, from tapas to dessert. You could also strive to include a single Spanish dish in your weekly meals, learning as you go, expanding a repertoire, because this is home cooking. This is about every day, not just special occasions. 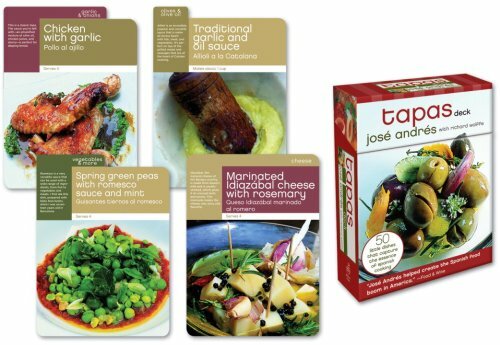 The enterprising cook will find chapters devoted to "Tapas," "Cold Soups and Salads," "Vegetable Dishes and Other First Courses," "Breads," "Pies and Pastas," "Warm Soups and Legume Stews," "Rice Dishes," "Fish and Shellfish," "Poultry, Meats, and Game," "Desserts and Other Sweets," and "Beverages." There's a chapter of basic recipes as well as a list of sources for some of the more unusual ingredients. 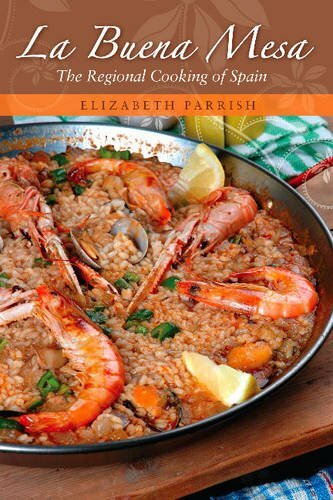 Aloha, this cookbook has given me insight into paella and other Spanish rice dishes. I'm glad that Mahatma carries Valencia Rice, and I was able to find Spanish chorizo because I've gone crazy making the recipes from this book. 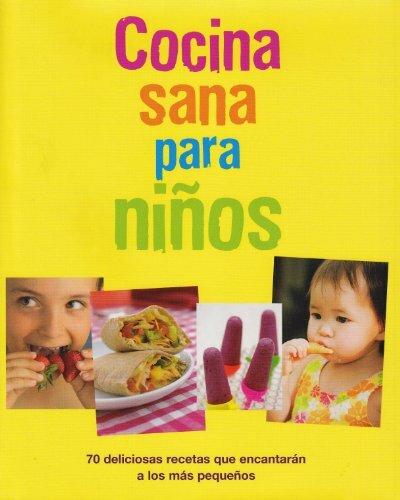 The author describes the types of pans...paella and cazuelas...to use. I found the paella pan in World Market, and my "cazuela" is a Circulon 11" round pan with metal handles. I needed the cazuela to go into the 500 degree oven and not melt. So far the paella recipes that I've used for the two parties at my house resulted in satisfied guests, and almost no leftovers. We were in Spain in Feb 2010, and wanted to extend our memories of that amazing country, so this cookbook allowed me to do this. Along with the Tapas book that we bought on the streets of Barcelona, we've been eating and sharing Spain with our friends. Let me start off by saying that I studied abroad in Spain on 2 occasions, my husband (who I met in Spain) is half-Spanish, and I have traveled to Spain a half dozen times.With that being said, I love Spanish food and I have tried it from several regions.I saw this cookbook in a local market and copied a recipe out of it.I cooked the recipe and it was amazing...it was exactly like the food I had in Spain...I couldn't believe it.Immediately after eating, I ordered the book on Amazon.I've tried many more recipes from the book and they have all been amazing.The paella is fabulous and very easy.I love this book!!! 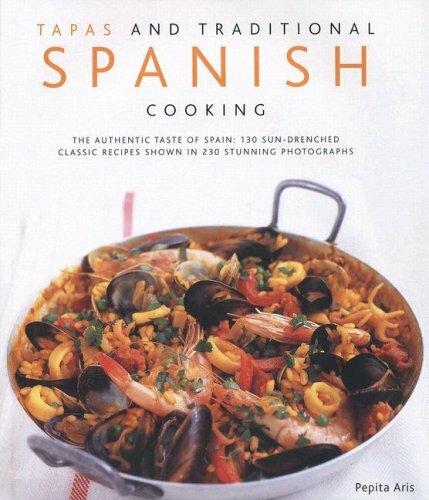 I purchased this as a Christmas present for someone who spent his childhood in Spain and whose son who is growing up in America.I thought the photos and recipes would elicit pleasant childhood memories and provide a great introduction to the varied cuisines and regions of Spain.I wanted a book that was a pleasure to peruse and that had authentic recipes. I have not read the book in any depth but look forward to doing so when I get a chance.My look-through revealed a book that met my expectations in a satisfying way. Beautiful photos, evocative text and authentic recipes. I was looking for a good book in traditional kitchen from Spain. This book is what I was looking for. The only thing I miss are more photos. The recipes are simple and easy to follow, but the best part is that the recipes I have tried actually taste like the ones I tasted back home. If you are looking for the real cuisine of Spain, this is your book. 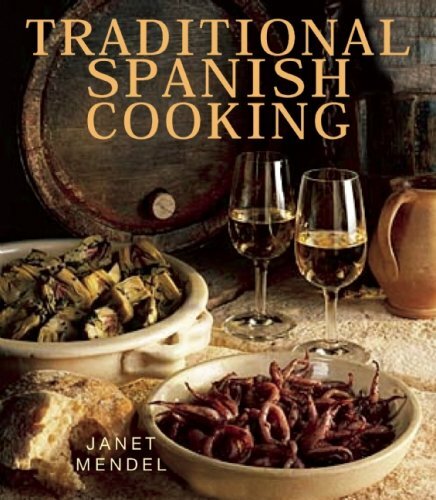 Now available in paperback, Janet Mendel's classic work includes 270 recipes for traditional Spanish dishes from Andalusian red garlic fish soup to Catalan chicken, Asturias stuffed sardines and Galician fish stew to Castilian roast baby lamb and shepherds' stew from La Mancha. Her inspired introductions set the food in the context of a land situated on the crossroads of civilizations, and where the food is a true melting pot of many cultures. Sorry!I forgot to sign my review. Janet Mendel has lived in Spain for many years and has written a food column for Spain's English-language magazine, Lookout, for more than 25 years. During that time, she hascollected hundreds of authentic recipes. Whenever I write articles onSpanish food, I almost almost consult Mendel's book to verify facts, checkhow dishes are actually made Spain, quantities, style, etc. Janet Mendel isthe real thing and such a bona fide authority on Spanish cooking that topcookbook authors and Mediterranean food authorities such as Paula Wolfertoften consult her. Until recently, here books were only available inEurope. How wonderful it is that they are now available in the US. ¡Ole! Janet Mendel has lived in Spain for many years and has written a food column for Spain's English-language magazine, Lookout, for more than 25 years.During that time, she has collected hundreds of authentic recipes. Whenever I write articles on Spanish food, I almost almost consult Mendel'sbook to verify facts, check how dishes are actually made Spain, quantities,style, etc.Janet Mendel is the real thing and such a bona fide authorityon Spanish cooking that top cookbook authors and Mediterranean foodauthorities such as Paula Wolfert often consult her. Until recently, herebooks were only available in Europe.How wonderful it is that they are nowavailable in the US. ¡Ole! Americans have fallen in love with Spanish food in recent years, and no one has done more to play matchmaker than the award-winning chef José Andrés. 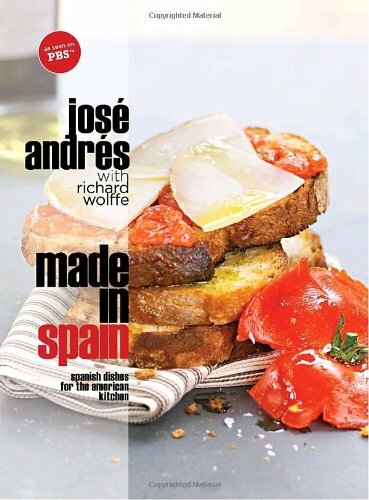 In this irresistible companion volume to his public television show Made in Spain, José reminds us—in the most alluring and delicious way—that the food of his native Spain is as varied and inventive as any of the world’s great cuisines. To prove it, José takes us on a flavorful tour of his beloved homeland, from Andalucía to Aragón. Along the way, he shares recipes that reflect not just local traditions but also the heart and soul of Spain’s distinctive cooking. In the Basque Country, we discover great fish dishes and the haute cuisine of some of the finest restaurants in the world. In Cantabria, famous for its dairy products, we find wonderful artisanal cheeses. In Valencia, we learn why the secret to unforgettable paella is all in the rice. And in Castilla La Mancha, José shows us the land of the great Don Quixote, where a magical flower produces precious saffron. The dishes of Made in Spain show the diversity of Spanish cooking today as it is prepared in homes and restaurants from north to south—from casual soups and sandwiches to soul-warming dishes of long-simmered beans and artfully composed salads. Many dishes showcase the fine Spanish products that are now widely available across America. Many more are prepared with the regular ingredients available in any good supermarket. I got the book from the library and will buy it as well. While I live near a store that focuses on Spanish food, I found the ingredients he is talking about in various stores. I found the special rice in various supermarkets and latin markets, the pimenton is available in most places, so is sherry vinegar, and the piquillo peppers. They even have them at Trader Joes. The only items that might be hard for some are the various cheeses. But then you can order most of the stuff online. I suppose saying that these are dishes for the American kitchen might imply that one uses "American ingredients" - I think he meant that these dishes are the less challenging ones (as compared to eating all the intestines and whatever it is that they devour...). Anyways, I have made several recipes - the vegetable paella for example, the bread salad, the garlic mayonaise - just absolutely delicious and worth the time and effort. His cooking show is one of the very best - so much fun to watch, and I really could not wait to start cooking. I highly recommend it to those that want to make Spanish dishes that are very delicious, and consider finding the ingredients as part of the adventure. I bought this book because I enjoyed the chef's cooking TV show on PBS. Further, I just returned from Spain and wanted to duplicate some of the menu items I ate there. Unfortunately, even though I live in California, a cultural Mecca for Hispanics, I couldn't find most of the Spanish ingredients called for in the book. It would have been nice to have the chef suggest substitutes, especially for the many varieties of peppers required. California market shelves and produce selections bulge with peppers, but without knowing which one to substitute, I just didn't want to chance a mistake, so closed the book and shelved it. I bought this book after seeing a few episodes of JOSE MADE IN SPAIN on PBS. The book is very colorful and very clear in its presentation. For every recipe, pictures are included and inticing you to try that dish. But that's were the positive feedback ends! I add my voice to those who say "items used in the cookbook are difficult and hard to find locally." I was able to find most of everything that I needed on several US Internet grocery shops. However, a few items I ordered directly from Spain. 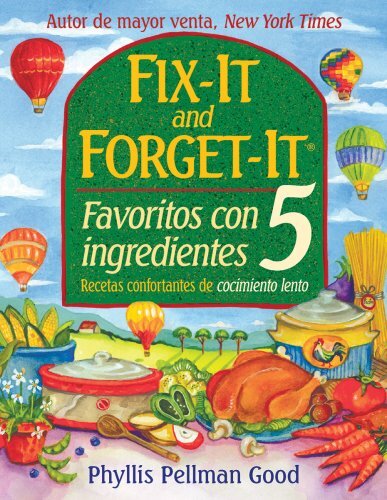 In my opinion, this book should not be titled "Spanish Dishes for the American Kitchen". Instead it should be titled "Spanish Dishes from Spain". MADE IN SPAIN accompanies a PBS TV show and tells of the food of Jose Andres' native Spain, offering a tour of regional specialties that reflect the soul of Spanish cuisine. From a Traditional Basque Stew of Tuna, Peppers and Onions to a Galacian-Style Chicken Turnover and Ribbons of Melon and Ham, MADE IN SPAIN: SPANISH DISHES FOR AMERICAN KITCHENS is loaded with color photos of finished dishes and delightful insights throughout. Amazing things are happening at the new Spanish table. The sweet-hot pequillos of Navarra turn up in a classic potato tortilla (the beloved omelet found in every tapas bar). Purple-veined Cabrales butter melts across a thick grilled T-bone. Honey is drizzled over eggplant "fries." Chocolate meets olive oil, strawberries meet fennel, vanilla meets salmon. Mysteriously delicious savory ice creams—balsamic vinegar, thyme, saffron—garnish soups and seafoods. Casual, quietly inventive, steeped in regional traditions but unmistakably modern, Spain is the new France and Italy, an ipicenter of contemporary Mediterranean cooking with a wealth of alluring flavors and preparations. 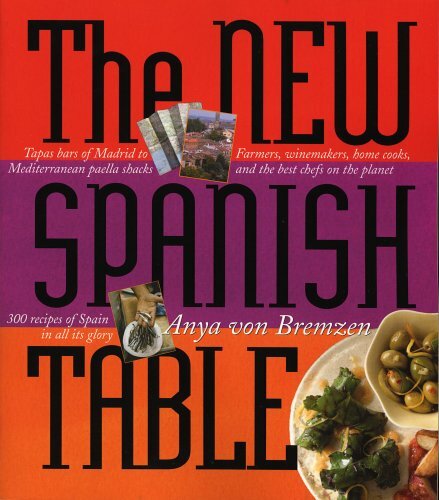 Written by Anya von Bremzen—an award-winning food writer who first fell in love with Spain in the early 1980s, introduced the Catalan genius and three-star chef Ferran Adrià to American readers in 1997, and today spends close to half her year in the country—The New Spanish Table delivers all the pleasures of this exhilarating cuisine. It's a rustic table: Baked Fish with Romesco Potatoes. It's elegant: Rack of Lamb with Pistacchio Pesto. It's exquisitely simple: Smoky Fried Almonds with sea salt, an addictive marriage of four ingredients. It's for entertaining—dozens of tapas, paellas and cazuelas (named after the Spanish terra-cotta casseroles)—and, with its glorious comfort foods like fried eggs with crackling, crispy whites, and luscious unusual Rice Pudding Ice Cream, perfect for cozying up, alone. I am enjoying reading this book and look forward to trying many of the recipes. 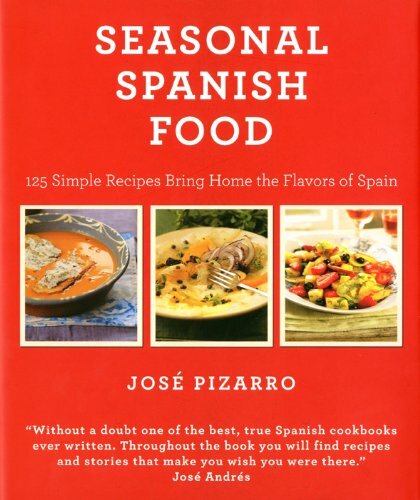 This book has authentic flavors of Spain.I am married to a Spaniard.Everything I have prepared from this book for my husband or for his family when we are in Spain has been a hit.I have a copy of the book at our home in Chicago and a copy of the book in our home in Sevilla. (It's too heavy to cart back and forth! )I love this book. The kind of cookbook I like. The author provides suggestions for substitutes for items you cannot easily find. Find a good source of garlic--you'll be using lots of it when you start cooking from the New Spanish Table.Surprisingly, many ingredients are easy to find and many recipes don't require a lot of fussing. Lots of good narrative. Great introduction to Spanish cooking. In its roughly 50 parts, all written by experienced cooks and cook book writers, HP Books' "The Book of ... Cooking" series takes you to the cuisines of various regions of the U.S. and around the world; all in easy to follow, well-explained recipes. 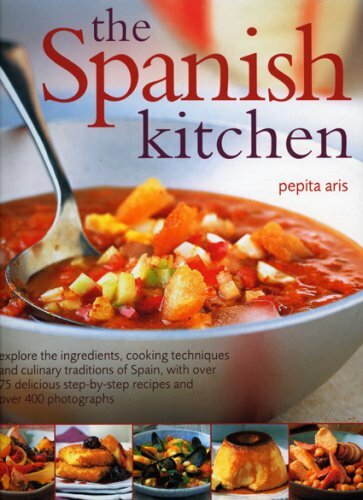 This installment, the Book of Spanish Cooking, starts with a brief introduction into the basics of the Spanish cuisine, and then presents recipe suggestions for all major courses, from tapas and soups to sweets, sauces, sides and drinks.Special chapters are dedicated to egg dishes, fish, poultry and game, (red) meat, rice, legumes and vegetables.Classics such as churros, empanada, gazpacho, pisto manchego, paella and sangria appear next to variations on classic recipes (tortilla with red pepper, artichoke and ham tortilla, orange flan, tuna croquettes) and unique dishes such as chicken with sherry or with walnut sauce, mullet with anchovy sauce, pork in cider and orange, and quail with grapes. From apple cake to zarzuela, this collection of recipes, while not all-encompassing, is a great introduction to the richness of the Spanish cuisine - and at a relative bargain price, to boot.Also recommended:This series' installments on North African, Mediterranean, Greek and French provincial cooking, antipasti, pasta, light pasta sauces, and pizzas and Italian breads. I just cooked the Green Mussel Salad tonight and was pretty disappointed.I've tried a couple other recipes in this book and have also been disappointed.The recipes I've tried don't inspire or even satisfy.I haven't found a Spanish cookbook yet that does, to be fair, but I keep looking. Lots of tasty recipes to enjoy! Great collection of tasty recipes with photos for every recipe! The introduction explains spanish food customs & ingredients. 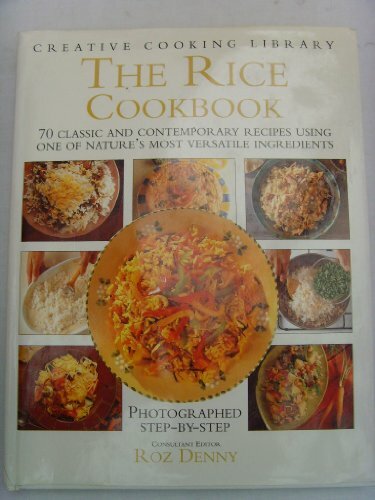 Lots of vegetarian recipes like "Rice with Chickpeas," "Fideua," "Bell Pepper & Onion Tart," "Potatoes with garlic sauce," "White soup with grapes" and "Gazpacho." 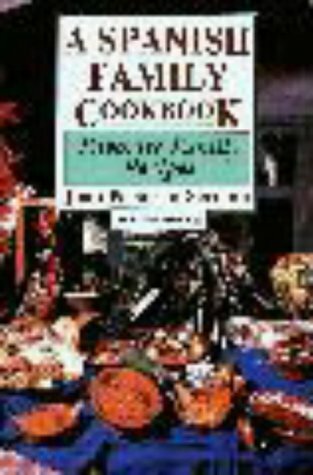 Of course there are still lots of meat recipes such as "Quail with Grapes," "Duck with Pears," "Lamb Chilindron," "Shrimp stuffed Eggs," "Empanada" and more. It's worth adding to your cookbook collection! For forty years, American-born freelance journalist and award-winning cookbook author Janet Mendel has made her home in Spain. Becoming a "local" has provided Mendel with the unique opportunity to explore the authentic foods of her adopted country, and to bring the best recipes to American kitchens. Now, in Cooking from the Heart of Spain, she turns her attention to the region of La Mancha. Mendel has taken part in the harvesting of saffron, wine grapes, and garlic. She has made marzipan in Toledo, joined in a partridge shoot, and prepared trout caught fresh from the streams in Cuenca. She tells stories of artisanal cheesemakers and wine producers. Her own home in an olive grove gives her special insight into world-class Spanish olive oil. Cooking from the Heart of Spain features traditional foods from the country's heartland, a region of vineyards, olive groves, and wheat fields. From here come Spain's most famous products -- Manchego cheese, saffron, serrano ham, and olive oil. These ingredients, along with its rich and diverse Moorish and Sephardic heritages, give Manchegan cooking an air of refinement and delicate complexity beyond its sturdy simplicity. The recipes in Cooking from the Heart of Spain include simple pisto, a medley of summer vegetables sautéed in olive oil; lamb stuffed with spinach and pine nuts; a robust peasant garlic soup; and a delightfully subtle saffron ice cream. Mendel also includes sophisticated dishes such as cheese and ham flan and partridge braised in wine sauce, as well as fun food, such as "fried milk," a sweet custard with a crisp-fried exterior. Oh, yes -- and Madrid tapas too. 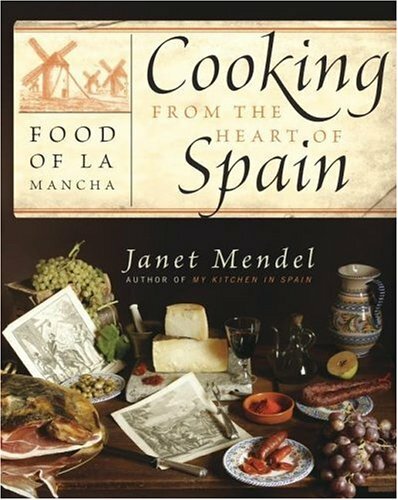 Laced with quotes from Cervantes' Don Quixote -- which had lots to say about the food of La Mancha -- Janet Mendel´s cookbook provides recipes for delicious dishes, both traditional and modern. Those of you who know me, know that my mother is from Mallorca, that she's a whopping good cook and that she's somewhat of a critique. My mother-in-law is from Mexico and she's a whopping good cook too. So having these two women over at my house at the same time, dining at my table, ingesting something I've made, can be a challenge. This book has saved me. I've had it for years and even though I know many of the recipes in it by heart, I still go back to it time and again. Yes, I play with them, adding and subtracting spices, but that's what cooks do. Good recipes are starting points and if you want to try cooking up real Spanish food, this book is a wonderful place to start. So it's funny to be writing a review for this book because I never actually received it from the vendor. But the reason I wanted it in the first place is that we've renewed this exact book about 5 times at the library, so we know it extremely well. The recipes in here are delicious. Amazing, gorgeous AND most of them are really pretty easy. There are some wonderfully creative recipes in here, particularly the desserts. We keep on making the frozen fig mousse and it disappears within a day. Yum. Award-winning food writer and Spanish resident Janet Mendel takes us to the land of windmills and Don Quixote, offering 200 recipes along with epic quotes and anecdotes about cheese-making, trout fishing, the saffron harvest and more. Don't look for gazpacho and paella here.But if tapas, Garlic Soup (a purported "hangover cure"); Crispy, Cheesy Chicken Breast with Quince Sauce and Manchego Cheese Flan with Caramel Sauce call your name, this book is sure to delight. Very Good Home Cooking from Central Spain. 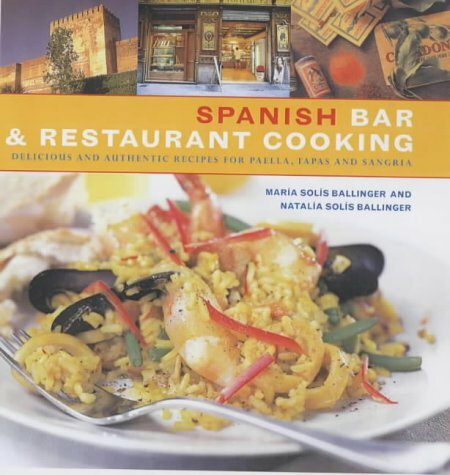 `Cooking from the Heart of Spain' by American culinary writer living in Spain, Janet Mendel, is a treatment of the cuisine of `La Mancha',or more properly, Castilla La Mancha, just south of Madrid, on the central plateau of the Iberian peninsula, with principal city of Toledo. This book closes the gap between the few books on Spanish regional cuisine and the great library on the cuisines of Italy's many culinary regions. The problem with Castilla La Mancha is that it is surrounded with many more interesting culinary regions, such as the paella capitol, Valencia, the tapas and sherry center, Andalucia, and the hotbed of pork raising, Extremadura. The author seems to solve this problem by stating that from its central location, Castilla La Mancha, her hometown, enjoys influences from all the various culinary specialities of other regions of Spain. If this were true, then why not just do a cookbook of all Spanish cuisines and be done with it. This was my general reaction to the book as I was reading Senora Mendel's introduction. Traditionally, she plays second fiddle to the better known writer, Penelope Casas, who has done two important books on the cuisines of all of Spain, plus special books on Paella and Tapas, and a `home cooking' volume. Overall, I believe the New Yorker, Ms. Casas' books overall are a better general survey of Spanish cooking, as I find her deeper into background material than either Ms. Mendel or native Spaniard, Teresa Barrenechea, author of `The Cuisines of Spain' and `The Basque Table'. But then, I get to Ms. Mendel's recipes and I am enlightened. Very few books on Spanish cuisine, except for Ms. Casas superlative `The Foods and Wines of Spain' cover Spanish Breads and pastries very well. Yet, Ms. Mendel does cover these areas, and she does it well. She also does an excellent job of covering one of my favorite Spanish specialities, egg dishes, featuring the famous `tortilla Espagnole', made simply of eggs, onions, potatoes, garlic, and olive oil. The true speciality of `Castilla La Mancha' is lamb and cheese, with a fair amount of pork and beef, especially veal as well. The region also makes great use of peppers, especially sweet peppers, as in beef-stuffed bell peppers. Ms. Mendel at heart seems to be writing in the style of Julia Child, as the expert home cook. This means her recipes are a bit better than, for example, primo culinary journalist, Coleman Andrews of `Catalan Cuisine', but not really up to the standard of either Andrews in analyzing the cuisine of the region, or, is she even close to the level of the divine Ms. Julia in explaining the finer points of Spanish technique. Overall, Ms. Mendel does as well or better for the home cook than her professional cook colleague, Barrenechea. Their recipes for `tortilla Espagnole' are virtually identical, except that Ms. Mendel's explanation seems just a bit better for the amateur; however, I prefer Barrenechea's overall result. As a treatise on a regional cuisine, the book is no match for Andrews' treatment of Catalonia or the great books on Italian regional cooking, but it is as good as Barrenechea's `The Basque Table'. If you are fond of Spanish cooking, I suggest you pick either Casas or Mendel and get all the books from that one author. Casas' treatment is a bit more scholarly, but Mendel may be just a bit more home kitchen friendly. Overall, I suspect the choice is a matter of taste, so pick one and eat well. Thumbing through the book you can practically smell the food cooking and you can absolutely feel the friendship these four women have forged over the years. That a daughter collected their creativity for all to share is a dash of spice. I and a friend prepared the first dish I tried for a dinner party with several friends. I'll be dipping into this book many times! This book is a wonderful resource for an endless variety of tasty dishes! The recipes are easy to follow and prepare, and the stories are equally heartwarming. A great book for anyone who cooks because they love to. Salud! Ms. Taylor hit the nail on the head with this one.This is a fantastic compilation of delicious mouth watering recipes, I can't believe Ms. Taylor put them in writing. I would have thought these recipes are "secrets".I'm no pro but I was able to make delicious food quite easily.My kitchen is smelling so good at this point, I look forward to coming home from work and enjoying it.A great cookbook!! Liven up your kitchen with this selection!!! This cookbook is excellent.It features recipes of the Spanish -American culture,while also providing informative and entertaining information about the recipes.This cookbook not only focuses on delicious recipes, it also expounds on the history of four remarkable Spanish-American women who have remained friends throughout decades.These four women provide accounts of their friendship, as well as recipes for the many meals they have shared together.The recipes range from simple to semi-difficult.None are impossible, or take a ridiculous amount of time.The selection of recipes is excellent, and each chapter has its own table of contents, making that perfect recipe easy to find!I would recommend this book to anyone looking to liven up their recipe collection with some unique and delicious meals with some cultural history!This book is also very helpful if planning a dinner party. There are endless combinations of appetizers, salads, side dishes, vegetables, entrees, and desserts for all appetites. In this appealing and informative guide to authentic Spanish cookery, Juan and Susan Serrano have culled over 250 of their favorite recipes from traditional family menus and regional specialties throughout Spain. 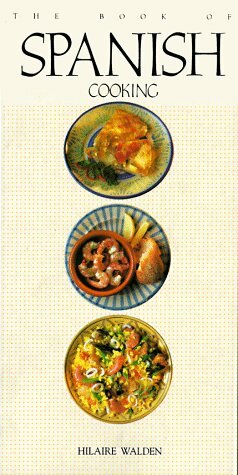 A Spanish Family Cookbook covers each course of the Spanish meal, from tapas (appetizers) through postres y pastels (desserts, cakes, and pastries). Garnished with a generous sprinkling of personal anecdotes and cultural insights, the book includes old family recipes handed down over the years and practical adaptations of traditional cooking methods, as well as some of the authors' more recent creations. The recipes are seasoned with commentaries on origin and regional variations, piquant observations on traditions and local customs, and explanations of Spanish words and culinary proverbs. Also included is a concise wine appendix, with information on classic Spanish wines--Sherries, Riojas, and Cavas--and the various regions in which they are produced. The appendix also includes recommendations for pairing various wines with classic Spanish dishes. This is the best cookbook I have.Not that I don't use others probably more but when I'm entertaining or cooking for a crowd this is the cookbook I reach for because the recipes are clear, detailed, and the food is incredible.The one drawback is that there are times when the term "season to taste" is used... and you do need to determine what spices and herbs you'd like to use.If you have a preferred way of preparing various items (fish, meat, chicken, rice) this gives you the versatility to flavor things your own way.They don't do this for all recipes... some call for very specific flavors and they give you specific quantities. They provide many varieties on various recipes - how to substitute or where the meat is optional - and they usually explain fairly clearly what works and why.It's not as technical as Cook's Illustrated, it's more like someone taking the time to write down how and why your grandmother cooked the way she did. Capture the spirit of Spanish cooking with these 50 delicious and fun recipes perfect for all occasions. Award-winning Spanish chef José Andrés shares his favorite flavors for classic tapas such as Lobster Paella, Manchego Cheese with Tomato Bread, and Asturian Chorizo Stewed Hard Cider, as well as inventive new dishes such as the Valencia Orange and Pomegranate Salad with Olive Oil and Sherry Vinegar. The recipes are printed on convenient tabbed cards that you can bring to the grocery store or prop up on the kitchen counter while you prepare an impressive mix of little plates to serve your family and friends. great gift idea for my son! I really loved this idea of a deck rather than a book because you can pull the one you're using, take it to the store and set it where you can read it during preparation. I had never made tapas before but after eating in a great tapas restaurant, La Boca, in Santa Fe, New Mexico, I became interested in trying to prepare them. I think the photos are beautiful and inspiring and the recipes simple enough for a tapas novice. All my cook friends are getting this deck for Christmas along with a nice bottle of Spanish olive oil. This is one of the best cookbooks I've ever owned.The first half consists of an invaluable detailed, illustrated description of fish, game, wine, cheeses, meats, sausages, spices and vegetables of spain. 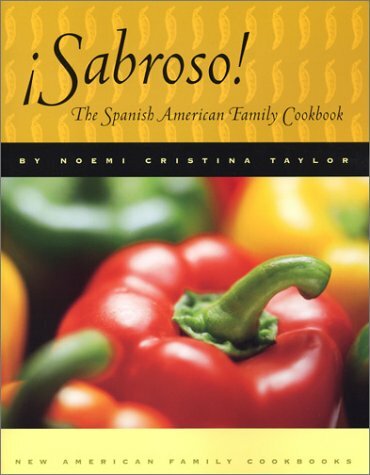 The recipies are well illustrated, easy to follow, and with a very few exceptions, translate well from Spanish to English.Every receipe I've tried has received rave reviews from my friends and family.What I like best is the way she uses fresh ingredients and humble foods to create incredibly delicious dishes.